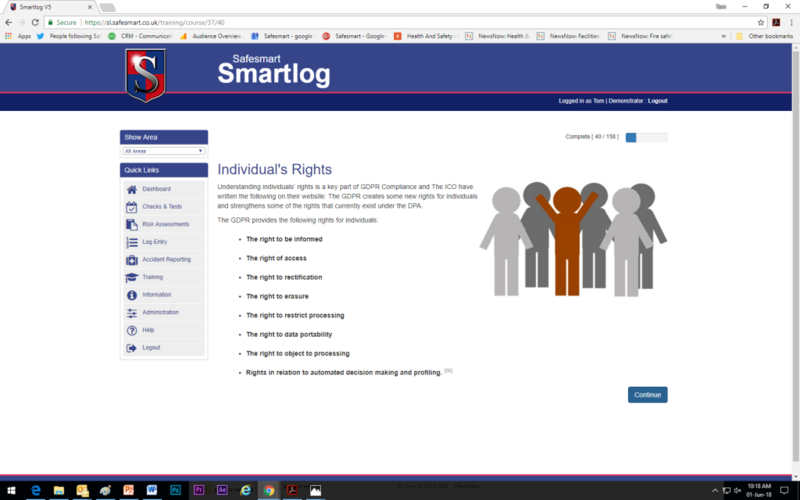 The Online GDPR Training Course is provided through our Smartlog compliance management portal. 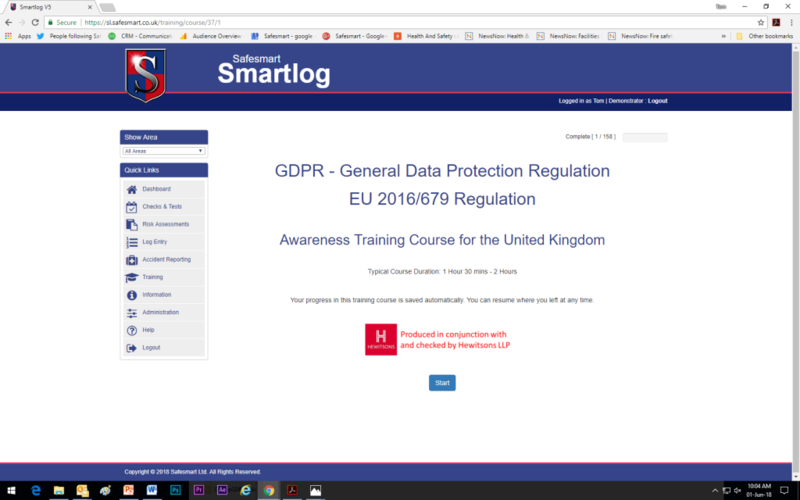 We provide one of the most affordable and sufficiently detailed online GDPR training courses available in the UK. Our training course has been produced in conjunction with and checked by Hewitsons LLP. Hewitsons are expert Data Protection Lawyers who have fully reviewed the accuracy of the information in our training course. The course content has been designed to inform all organisations and all staff about the GDPR, and it is very affordable for all sectors, ranging from primary schools, SMEs and large corporations. The General Data Protection (GDPR) EU 2016/679 Regulation was enforceable from 25 May 2018. GDPR awareness training online and an annual review via online training can help your organisation ensure compliance. • For an unlimited number of users. • A fixed affordable price per-site per-annum. • Sufficiently detailed & suitable for all organisations. • Course progress is saved automatically. You can resume where you left at any time. • It’s mobile optimised for smartphones & tablets so it scales with the size of your screen. 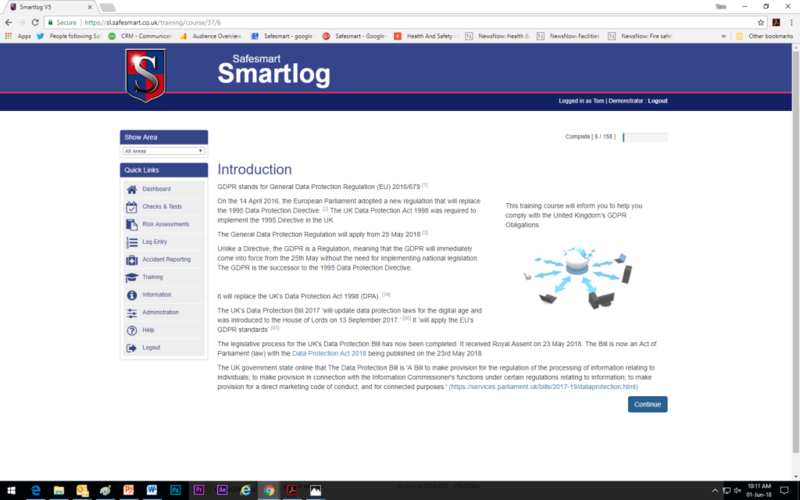 • The Smartlog Portal can also be branded with your logo. • The purpose of GDPR. • Differences between the Data Protection Act 1998 and the GDPR EU 2016/679 Regulation. • How to fully comply with GDPR. • What GDPR permits for your organisation. • What the GDPR does not permit for your organisation. • How to implement GDPR compliance. • Number referencing on every page directs to a hyperlinked reference list that opens in a new tab which shows you exactly where the information came from: which article, which recital & which ICO guidance. • Novices and experienced participants alike will benefit; gaining understanding and comprehension of the source material. • 24 Quiz questions distributed throughout the course to test whether users have remembered the information. A 75% pass mark to gain a certificate of completion. 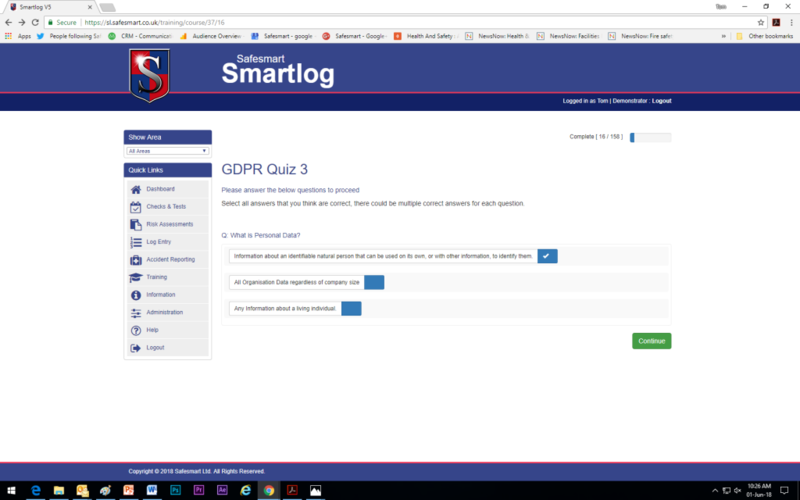 Is GDPR Training a Legal Requirement? Article 39 of the General Data Protection Regulation (GDPR) states that an organisation’s data protection officer needs to ensure awareness-raising and training of staff involved in personal data processing operations, and the related audits.